WHY WE NEED REMOTE BLOB STORAGE (RBS)? In SharePoint, a binary large object (BLOB) is a huge block of data stored in a database that is known by its size and location instead of by its structure like Microsoft Office 2010 document or a video file. The fact is that these BLOBs are unstructured data, are stored directly in the SharePoint content database along with the associated metadata. As said these BLOBs can be very large can increase database size within no time so, it might be better to store BLOBs outside the content database. 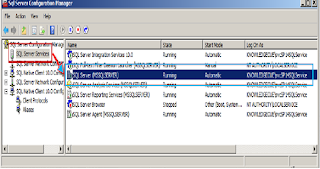 RBS is a Microsoft SQL Server library API set that is incorporated as an add-on feature pack for Microsoft SQL Server 2008 R2, SQL Server 2008 or Microsoft SQL Server 2008 R2 Express. 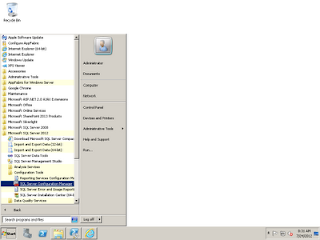 The RBS feature enables applications, such as SharePoint Foundation 2010, to store BLOBs outside the content databases. So, storing the BLOBs externally can reduce how much SQL Server database storage space is required. The metadata (information associated with blob) for each BLOB is stored in the SQL Server database and the BLOB is stored in the RBS store. Almost all values stored in SQL Server consist of ASCII (American Standard Code for Information Interchange) characters. An ASCII characters are letters, numbers, and symbols found on the keyboard. A text editor such as Notepad can alter a file holding only ASCII characters without any consequences but what if we have to alter or store a large amount of binary data in a SQL Server table along with other ASCII data; Word documents, XML documents, and images. Binary files contain ASCII characters, special control characters, and byte combinations not found on the keyboard. SQL Server provides special data types for dealing with such large volumes of binary data. These various data types have changed over time. In SQL 2000, there were two different families of data type options for this type of data: binary and image. The binary family included two different data types: the binary data type and the VARBINARY data type. The VAR in VARBINARY means that the size is variable rather than fixed, as in the case of the standard binary data type. However, it still has a maximum length of 8,000 bytes. The image data type family was used to store binary large objects that are greater than 8,000 bytes. Anyways, this will keep changing. SHOULD I CONSIDER USING RBS ALWAYS? Note: if you only have 100GB of data, separated in several content databases, and most of the content is documents, There is no benefit to my server farm by using RBS. RBS client library : An RBS client library consists of a managed library that coordinates the BLOB storage with Microsoft SharePoint Foundation, SQL Server 2008 Express, and RBS provider components. Remote BLOB Storage provider: An RBS provider consists of a managed library and, optionally, a set of native libraries that communicate with the BLOB store. BLOB store: A BLOB store is an entity that is used to store BLOB data. This can be a content-addressable storage (CAS) solution, a file server that supports Server Message Block (SMB), or a SQL Server database. They presented a table outlining the key advantages of RBS over EBS. The RBS BLOB store scope is per Farm. 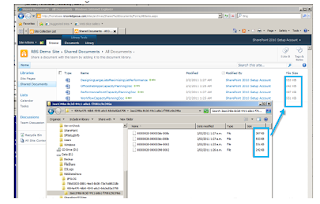 SharePoint 2010 adds the Configurable Maintainer to sync operations from SharePoint down to RBS. RBS also has a PowerShell-based UI within SharePoint, this was pretty rudimentary but again it shows a commitment to the integration. No support for DAS and database mirroring: RBS with FILESTREAM doesn’t support Direct Attached Storage (DAS) and database mirroring. Database level configuration: You need to configure individual per content database settings instead of per library or site. Cost increase: RBS implementation increases overall IT operational costs, as your IT department needs put more efforts to running and monitoring RBS. FILESTREAM and RBS are complementary approaches for storage and management of BLOBs and we see them both continuing to evolve. FILESTREAM provides a storage option that allows storage, efficient streaming and integrated management of large BLOBs in a SQL database by utilizing the underlying NTFS file system for BLOB storage/streaming. It offers fully transactional access and compatible operations as varbinary(max). RBS is a set of standardized APIs that allow storage/retrieval of BLOBs outside of your main SQL database where a dedicated BLOB store is desirable for various reasons. This uses a provider model for plugging in any dedicated BLOB store that implements these RBS APIs. We have also built an out-of-the-box RBS FILESTREAM provider that allows a deployment to use a SQL Database (local or remote) as a dedicated BLOB store. This provider utilizes the FILESTREAM as the BLOB storage mechanism and ties the two technologies together. Based on this preliminary remark, we can start our Overview asserting that RBS is an API Library included as an add-on feature pack for Microsoft SQL Server. It can be executed locally on Microsoft SQL Server 2008 R2, SQL Server 2008 and SQL Server 2008 R2 Express instances and RBS can be executed on remote servers however the Enterprise edition is needed.RBS offers the great advantage of ousting the BLOBs from the Content Database to store them on the File System. Within the object metadata, a pointer will be generated to the corresponding streaming file (similar to the one produced by EBS). b) In a Cluster environment, RBS has to be configured on a Share accessible by each node. RBS API uses a provider to access the storage hosting the BLOBs. The provider can be supplied by a Vendor in the context of a custom Solution, but consider the fact that the RBS add-on is distributed as feature pack for SQL Server 2008 R2 and includes RBS FILESTREAM, that makes SQL Server itself an RBS Provider. 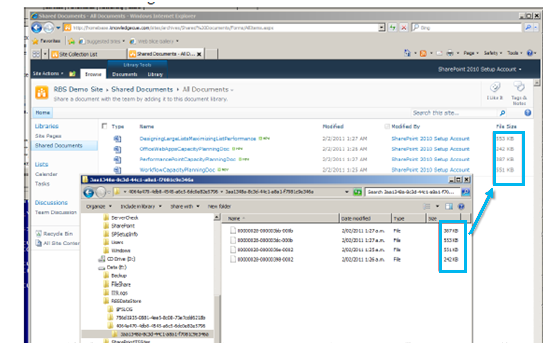 SharePoint 2010 supports OOB this provider, together with a number of third party providers. Currently, however, the only provider fully compatible with the database backup and restore operations of SharePoint 2010 is precisely the RBS FILESTREAM Provider. The eventual Site Collection backup / restore and the sites or lists export / import can be executed besides the provider in use (Of course, because such operations are in fact selective queries against the Content Database)another interesting characteristic of RBS consists in the fact that we can configure it on a new Content Database AND / or on existing Content Databases, in this last case the previously existing BLOBs will “migrate” from the content database to the external storage. Finally, once we have installed and configured RBS, it doesn’t allow direct access to the files stored in his configured storage and any access will be performed ONLY by SharePoint. 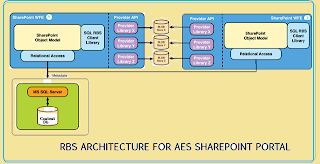 The following steps to configure RBS using the FILESTREAM provider of SQL Server 2008 or 2008 R2 for a SharePoint 2010 web application and associated content database. 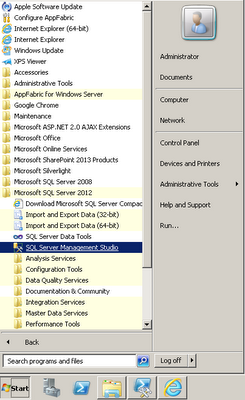 I assume SQL Server 2008 R2 Enterprise Edition is used. There are many reasons why you should and should not use RBS. The decision to use RBS must not be made lightly since it affects your overall farm management model. This guide is a guide only and not an endorsement to use RBS in your deployment. We hope that you can use the guide to test and configure RBS and make an informed decision. 1. 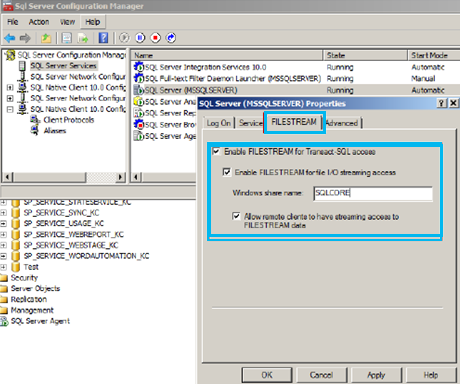 Setup and configure FILESTREAM and RBS for a new content database. 2. Configure RBS for an existing content database and site collection. 3. Disable RBS from a content database. 1. These instructions assume that you are using the FILESTREAM RBS provider. 2. A SharePoint Server Farm configured and tested to be operational (In the example, the steps are based on a server farm with three servers). 4. 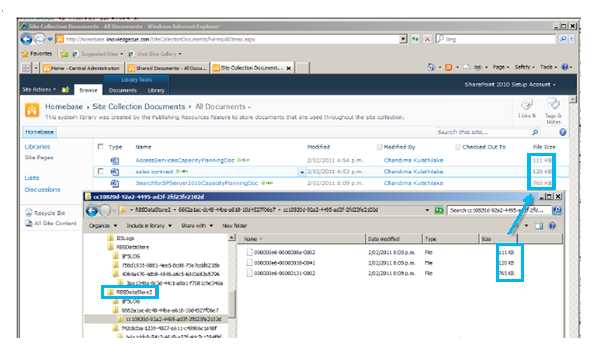 RBS can only be used for content databases in SharePoint Server 2010. 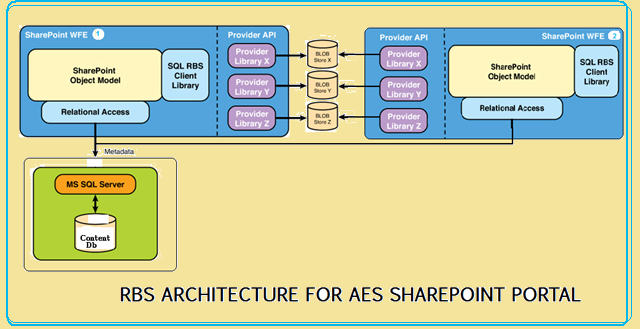 Implementing RBS with the FILESTREAM provider on a remote SQL Server to be used by SharePoint requires SQL Server Enterprise Edition. RBS is most suited for ‘infrequent access’ scenarios such as ‘archival’ of content. 1. The FILESTREAM provider is supported when it is used on local hard disk drives only (i.e. : No NAS is supported). 2. Files that are stored using RBS cannot be directly accessed. Note : You will need to carry out configurations on all servers in order for RBS to work. In this setup guide a web application named http://aes.com is used to host a number of site collections. The web application currently has two content databases. The root site is located in ‘SP_CONTENT_HOMEBASE_KC’ content database. An additional content database is used for another site collection. A third (*new) database will be created to enable RBS and store data on the file system. 1. 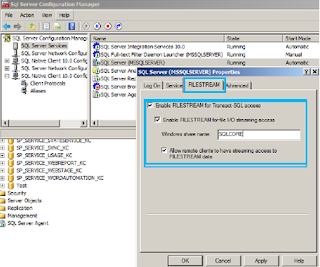 Enable FILESTREAM provider on SQL Server. 2. Create a new content database. 3. Create a new site collection to be housed in the new content database. 4. 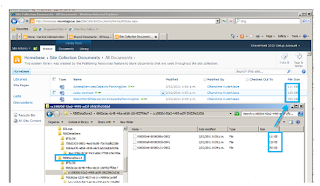 Configure the content database to use RBS with FILESTREAM. 5. 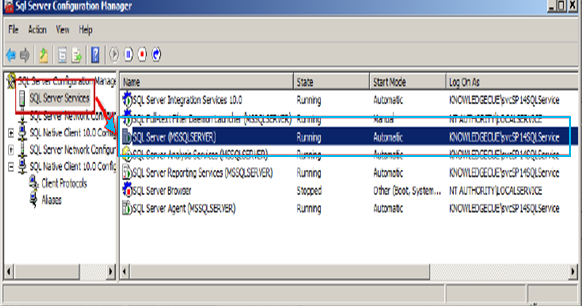 Install the RBS provider on the SQL server. 6. Install the RBS provider on all SharePoint servers. 7. 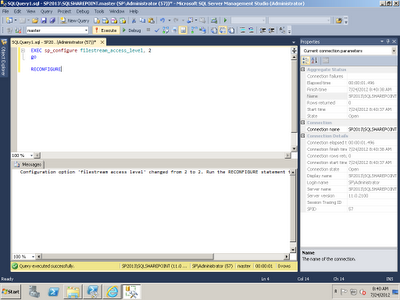 Run the required PowerShell cmdlets to enable the content database to use RBS. 8. Test that content uploaded ends up in the specified file directory. In below assumption the following names are used. This is the content database used for the site collection. This content database will be set to a pre-grown size of 50MB with auto grow size of 50MB and 10MB log growth. Note : If you want to enable RBS on an existing content DB skip this part and go to ‘4. Configure the content database to use RBS’ section below. 2. Add the SharePoint setup account (Faith\svcsp14setup) to have dbowner access to the database created above. Now in order to test our scenario we need to create a new site collection in the new content database. Since you created this database outside of SharePoint you need to go to Central Administration and add this database to the web application first. Remember in our scenario we have a web application with three site collections including the root site. We are configuring RBS for the third site collection which will use the database we created (SP_CONTENT_ARCHIVES_KC) in the above step. 3. Click “Add a content database” link. 4. 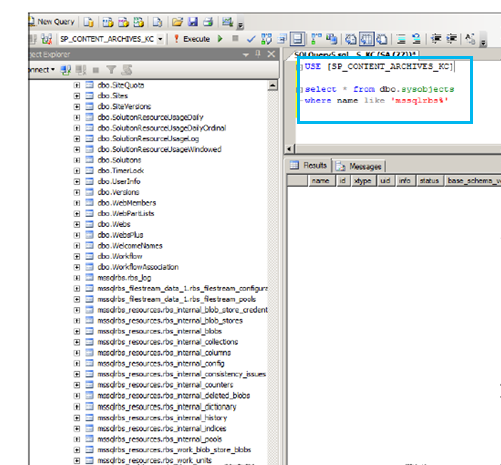 Add the database name and SQL server information. In this scenario I am restricting this content database to only contain 1 site collection. Command to create the site collection. Enabling RBS must be carried out per content database being used. Verify that the user account that you use to perform this step is a member of the Administrators group on the SharePoint web server, and is a member of the SQL Server dbcreator and securityadmin fixed server roles on the computer that is running Microsoft SQL Server 2008 R2, SQL Server 2008 with Service Pack 1 (SP1) and Cumulative Update 2. In our example this is the SharePoint setup account (Faith\svcsp14setup). The following commands must be executed on SQL server in the following order. 5. 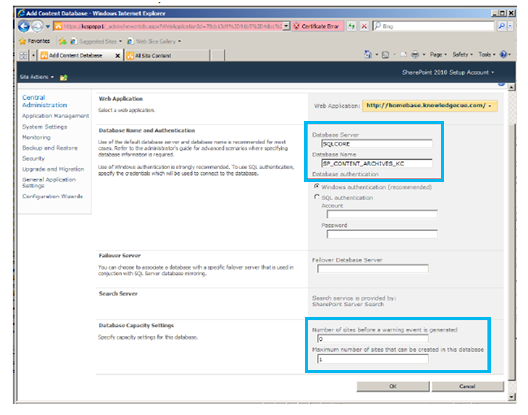 Check the location specified if the E:\RBSDataStore directory has been created. Do not attempt to create this directory manually if this step does not work. Note: that you can provision a RBS store for each database only one time. If you attempt to provision the same RBS data store multiple times, it will not work. In a real world scenario you can create multiple locations for each content database that you want RBS enabled such as E:\RBSDataStore2 etc. See section 7 for enabling an existing database. Make sure the correct RBS.msi has been downloaded from http://go.microsoft.com/fwlink/?LinkID=177388. 1. 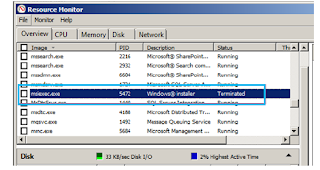 Run the installation on the SQL server first. 2. Copy the downloaded RBS.msi to ex: C:\SPSetupInfo\. 3. Open a command prompt as an administrator and execute the following command within C:\SPSetupInfo\. 4. Keep an eye on taskmgr for msiexec which will start the install. Until it’s finished don’t attempt to do anything as you need to wait for all the configurations to happen in the background. Eventually this will show as ‘Terminated’ in process explorer. 5. To verify the installation check the ‘rbs_install_log.txt’ files from C:\SPSetupInfo. Towards the end of the file the following message should be present. Blob Store -- Installation completed successfully. Microsoft Corporation. Installation success or error status : 0 . 6. Now you need to run the following command on every SharePoint server joined to the farm. 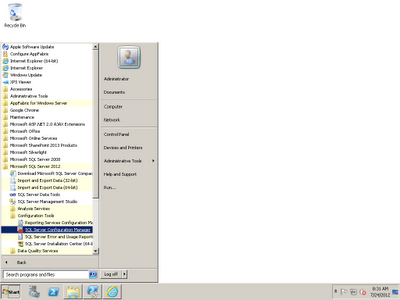 Meaning that in a multi-server deployment every SharePoint server needs to have the RBS configuration installed. Note that this command is slightly different from above. 7. The install will take the same amount of time on each server so please be patient. Check that the ‘msiexec’ process has finished before proceeding. 8. To verify that the required configurations and table changes have been applied open SQL server Query window and run the following query. 9. Navigate to the SharePoint server and open a PowerShell command and execute the following PowerShell command. 1. Open the site collection http://homebase/sites/archives and navigate to the “Shared Documents” library. 3. Navigate to the E:\RBSDataStore location specified as the store. You will be able to see the files with matching file sizes located on the file store on local disk. To move existing content from an existing DB you need to follow steps outlined in this section for that specific content database. In the existing site at http://homebase has a number of documents but these are stored in SQL since this database has not being RBS enabled. In the assumption we will enable RBS on ‘SP_CONTENT_HOMEBASE_KC’ which is one of the existing databases that houses the root site collection data. When performing this action ensure that this is done at a time where there is low user interaction or no users are using the files being moved. Note that the commands used are slightly different in this case. Since, we already enabled the FILESTREAM provider filegroup name of ‘RBSFilestreamprovider ‘we need to change this to ‘RBSFilestreamprovider2’ and the provider store name to ‘FilestreamProvider_2’ for this to work. 1. Commands to be run on SQL server. Note: the above commands and the ‘msiexec’ process may take some time to finish. Refer to ‘5. 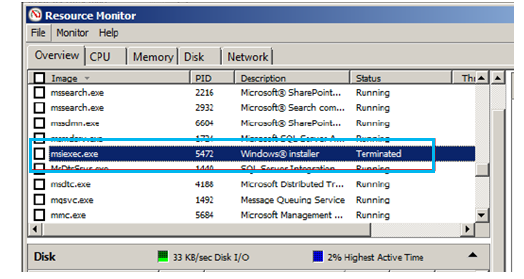 Install the RBS provider on SQL and SharePoint Servers’. Once the commands have finished executing proceed to enable the site collection. *Keep an eye on taskmgr for msiexec which will start the install. Until it’s finished don’t attempt to do anything as you need to wait for all the configurations to happen in the background. 5. 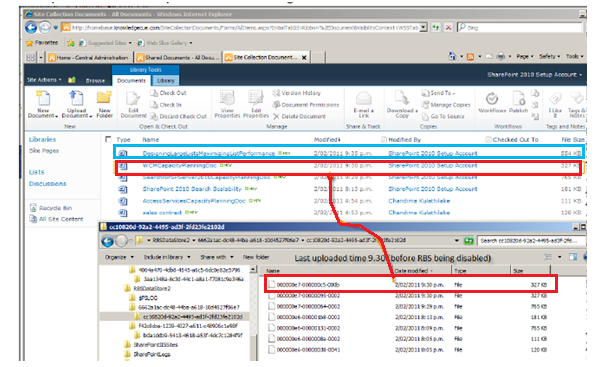 Navigate to 'E:\RBSDataStore2' and verify that the files have been moved. 6. The current logical configuration is now outlined below. Once you have set up RBS for the database you may also need to disable RBS. This can be done using PowerShell. This can be easily disabled on a content database by setting the active provider name to the empty string. Each content database has a RemoteBlobStorageSettings property that can be used to invoke the SetActiveProviderName method. The caveats to using are that you should not remove RBS from a database already set for RBS. Microsoft does not recommend this. The following table shows the license requirement for different scenarios.